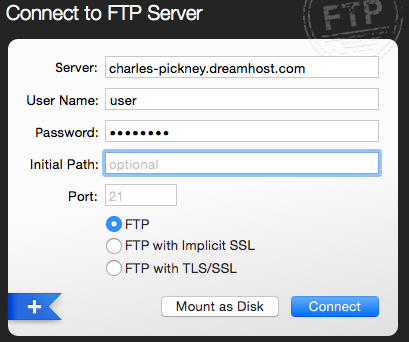 You should be using SFTP to connect (rather than FTP) since SFTP ensures a secure connection to your server. 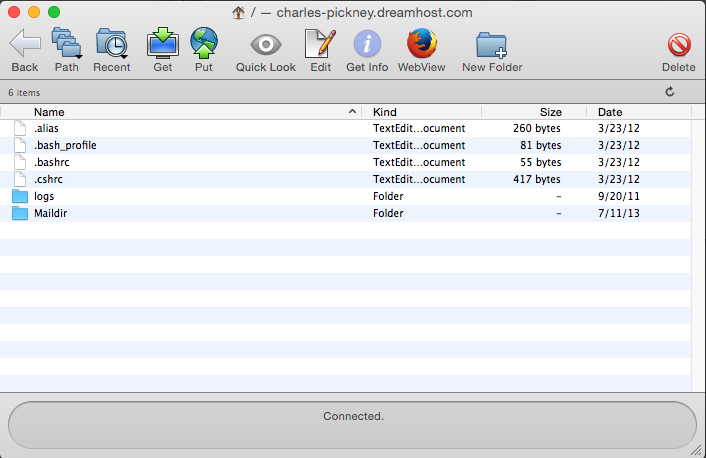 If you are already connecting using SFTP, you may already be able to see hidden files. This depends on the client you're using. Click the Server tab at the top. 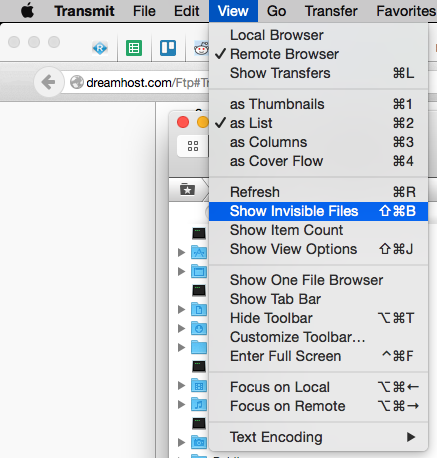 Select Force showing hidden files. 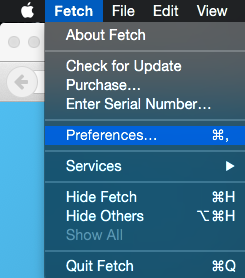 Right-click within the server side window. 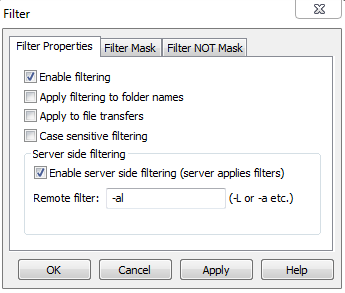 Under Server side filtering select the Enable server side filtering (server applies filters) check box. Type -al in the Remote filter field box. On this page make sure 'Omit hidden items whose names begin with a period' is UN-checked. 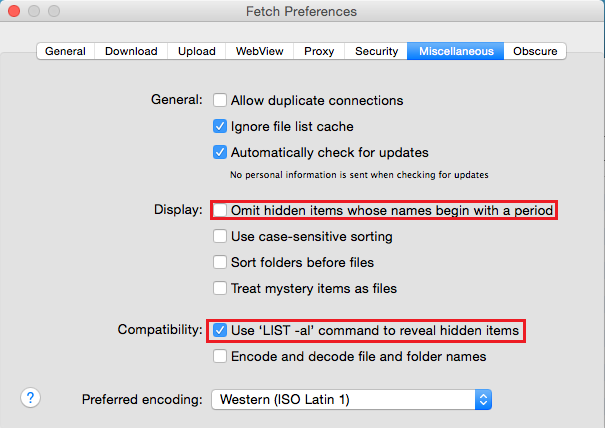 Then check the box for 'Use 'LIST -al' command to reveal hidden items'. Select the Site Profiles Manager option at the top left. 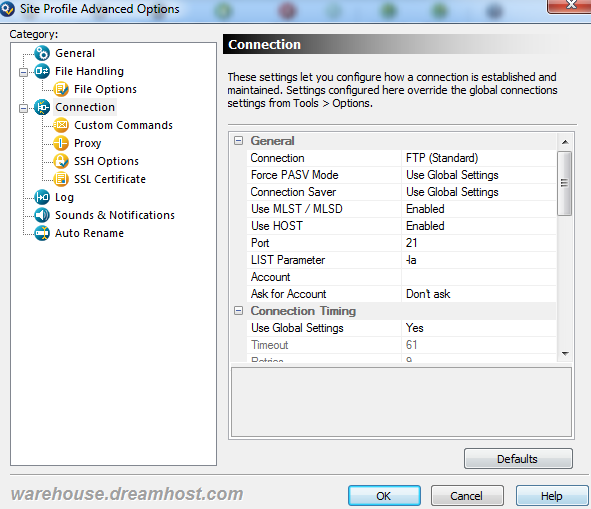 Select the Connection tab on the Site Profile Advanced Options window that opens.